Had the amazing opportunity to cook with the lovely Amy & Warren Wilton at their beautiful home! 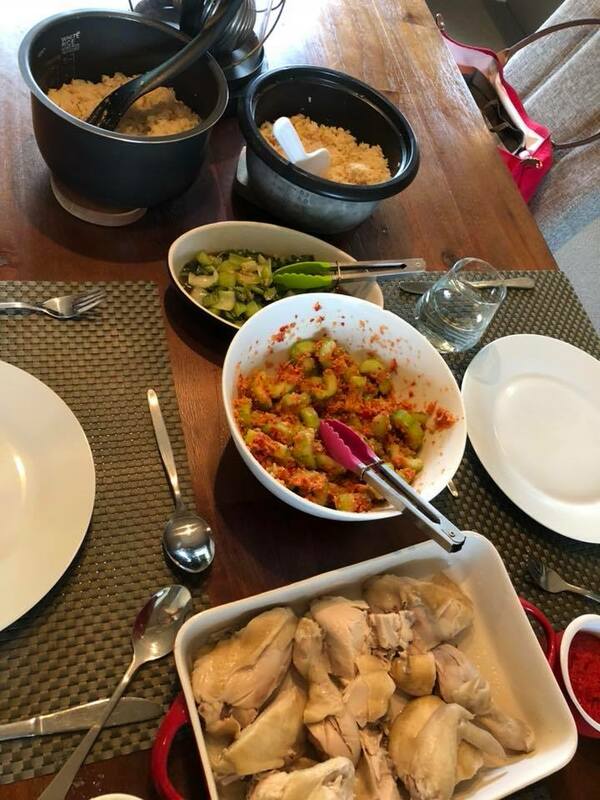 We made Kerabu Cucumber Salad, Hainanese Chicken Rice which involved a whole poached chicken, freshly made Hainanese chicken rice paste, Stir-Fried Bok Choy with garlic and oyster sauce, Fresh red chilli sauce and Fresh ginger sauce! 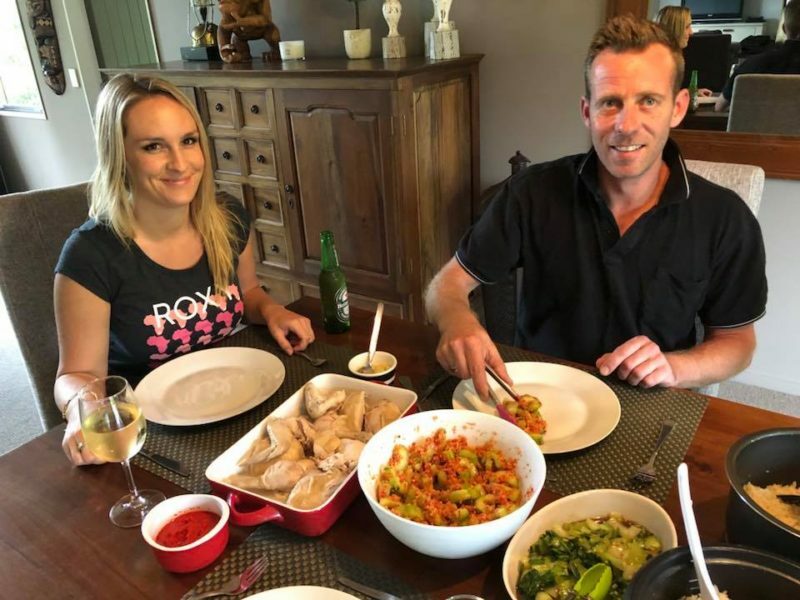 They have given me a Pork challenge and I can’t wait to cook with them again! ?